Filled with trendy shops, street art and pop-ups, Shoreditch has become somewhat legendary over the last few years as a by-word for young, cool and creative London. It’s home to plenty of cool bars and restaurants, too. 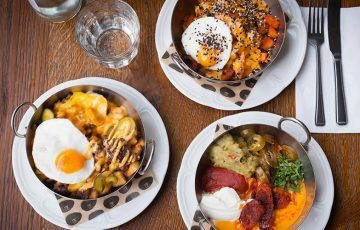 If you live or work nearby, or you’re just visiting, here are some of the best spots for lunch. 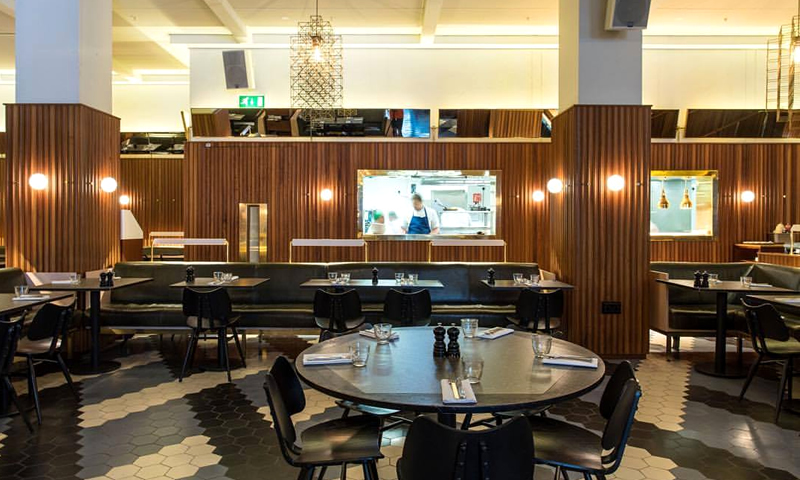 Pizza East fuses the creative-cool of Shoreditch with the vibrant tastes of Italy. 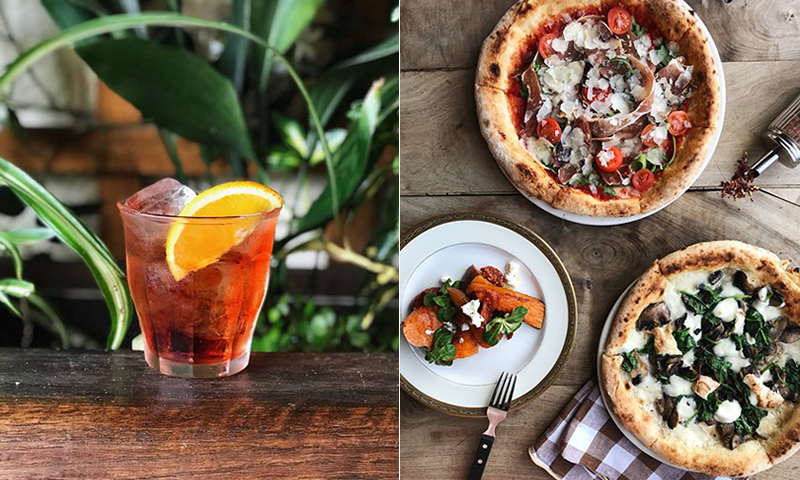 Pizza lovers will rejoice as the finest ingredients, precise preparation, and outstanding presentation make guests feel they are dining out in Italy. Fancy a pizza with black truffle, taleggio, mozzarella and cream? Or with San Daniele prosciutto, burrata, rocket and tomatoes? 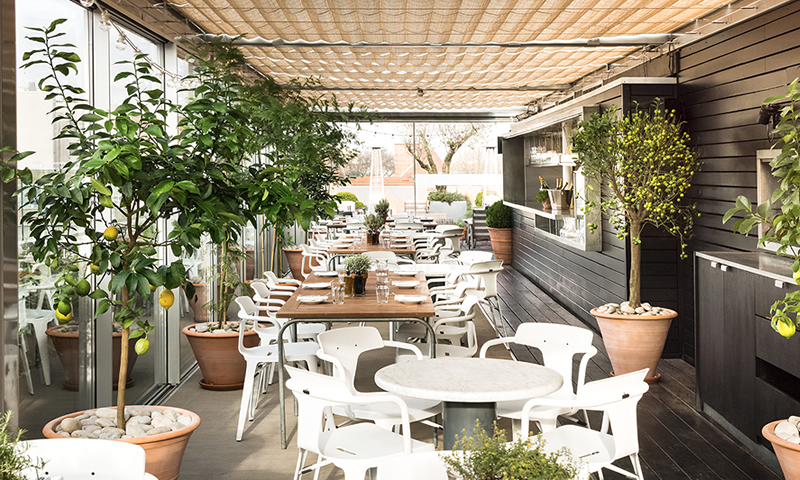 Situated on Redchurch Street, Boundary Rooftop offers a summery Mediterranean menu of seafood, skewers, and fresh salads. The restaurant’s glass orangery protects against the elements but retains fantastic 360-degree views across London. If you don’t have to go back to work, why not try one of their refreshing seasonal cocktails and punches? We like the Hugo, made with Bombay Sapphire gin, elderflower, prosecco, soda and mint. 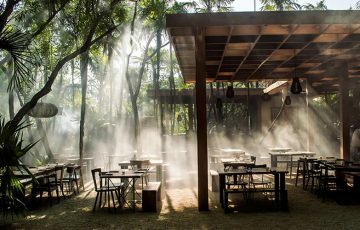 At Scandinavian-inspired restaurant Rok, they cook meat and fish on open wood fired grills, as well as doing plenty of pickling, fermenting and smoking. They even brew their own sparkling wine, cider and mead. We’re big fans of their cocktails and open sandwiches, too. Nobu is a top choice for sushi lovers and anyone who would like to dip their toes into the world of fine Japanese cuisine. 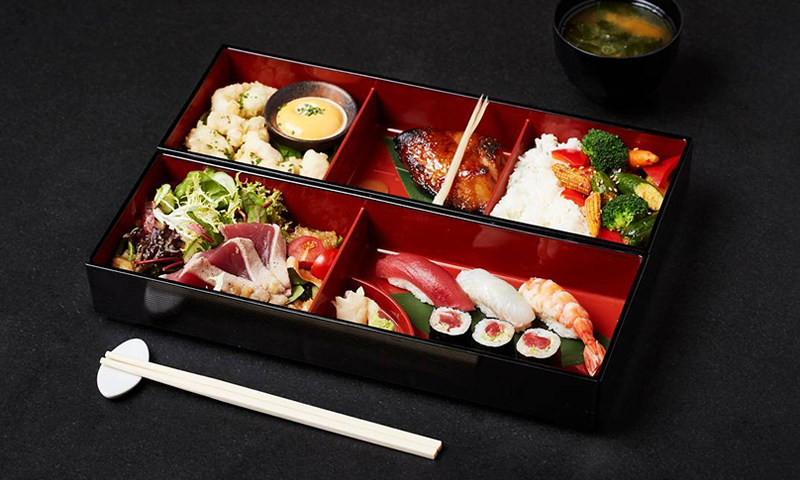 Pioneered and created by chef Nobu Matsuhisa, the Nobu menu is influenced by his years of studying Japanese cuisine in Tokyo, as well as his extensive travels. At lunchtime, you can enjoy bento boxes, fresh salads, sashimi, and donburi bowls topped with things like chicken karaage and braised short rib. If you’re daydreaming about a sunny getaway, lunch at Suvlaki is the next best thing. 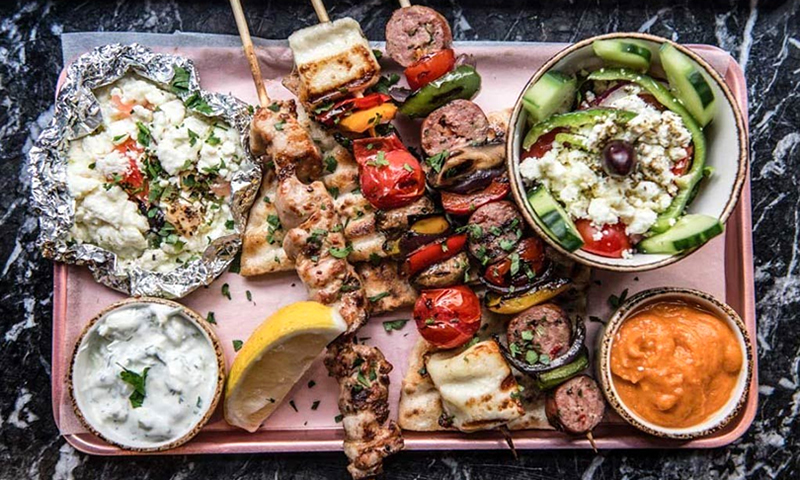 ‘Suvlaki’, which means ’little skewer’, is synonymous with street food in Greece and is one of the tastiest and healthiest way to grab a quick bite to eat. Get your friends or work-mates together for a lunchtime feast of grilled meat skewers, stuffed pittas, and small plates – their courgette fritters are a must try. When British comfort food is done well, there is simply nothing better. Hoi Polloi offers exactly that. To find this gem, head to the Ace Hotel, walk through the florist and into the modern wood-panelled dining room. 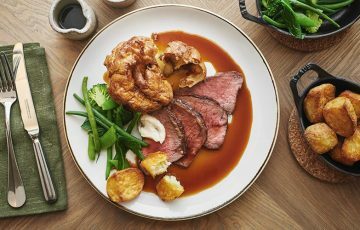 It’s a buzzy spot that offers great people-watching opportunities while you tuck into classic dishes like beef tartare, bavette steak, and roast chicken with greens and aioli. Looking for something else? 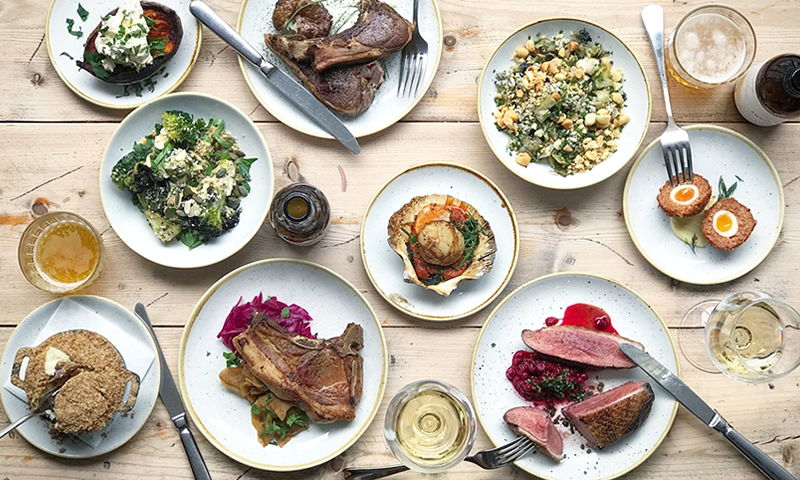 Visit OpenTable to check out more Shoreditch hot spots like Som Saa, Merchants Tavern, Tramshed, and Strut & Cluck.